The APC in Ekiti State has reportedly nominated the former Executive Chairman of Ado-Ekiti Local Government, Adegboyega Egbeyemi, as the deputy governorship candidate of the party. A statement from JKF Campaign office in Ado-Ekiti disclosed that Egbeyemi was picked as the candidate in late hours of Wednesday, after party leaders met for long hours to consider who is best suited to pair with former Governor and immediate past Minister of Mines an Steel Development, Dr. Kayode Fayemi, to fly the party’s flag in the governorship contest. 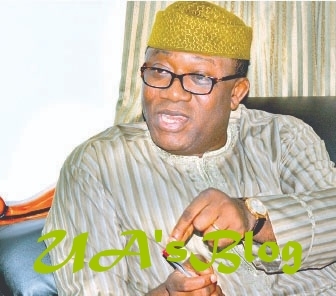 The Statement which was signed by Wole Olujobi said, Egbeyemi’s choice came after speculations by the expectant public spread that certain eminent indigenes of the state had been picked to fly the ticket with Fayemi in the July 14, 2018 governorship poll. Egbeyemi, according to Vanguard Newspaper, is an indigene of Ado-Ekiti, was born on May 8, 1944 to the family of the late Egbeyemi Alade and late Madam Tinubu Egbeyemi.